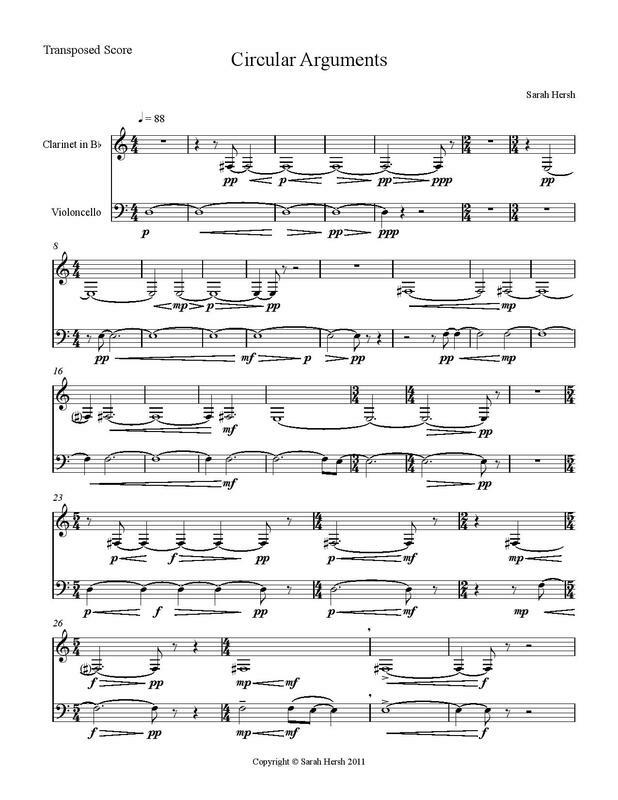 Circular Arguments explores a conversation between the clarinet and cello that becomes a competition in which each vie for the other’s attention. In their attempts to win this contest of which only they are aware, they keep recycling the same (albeit disguised) material as they try to one-up each other. The fact that they never seem to get anywhere causes them to chase each other around in circles, and they ultimately end exactly where they began. Circular Arguments was originally written for Jonathan Helton and Steven Thomas (alto saxophone and cello). It was arranged for clarinet and cello for Terminus Ensemble.